Population estimates are based on BLM's 2017 HAHMA Statistical Report, and are not adjusted for subsequent growth and removals. Links will be activated as pages are completed (see About this project for more details). *BEST BETS: asterisk before name indicates best viewing opportunities and/or special attractions. 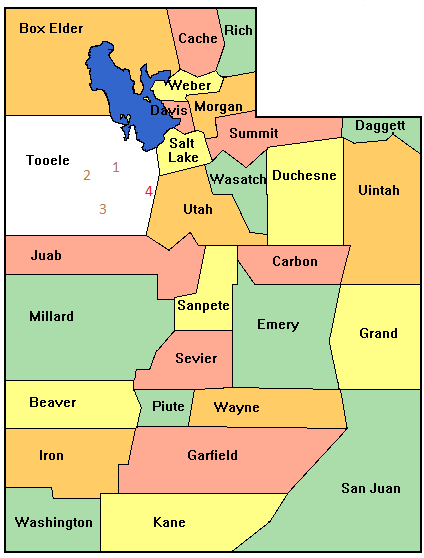 Four herd areas in the northern West Desert (between the Wasatch Front and Nevada state border). Three herd areas in and around the Uintah Basin (Roosevelt, Vernal, Colorado state border). Eight herd areas in the southern West Desert (western Millard County). *The House Range Loop - 3 HMAs in one day! 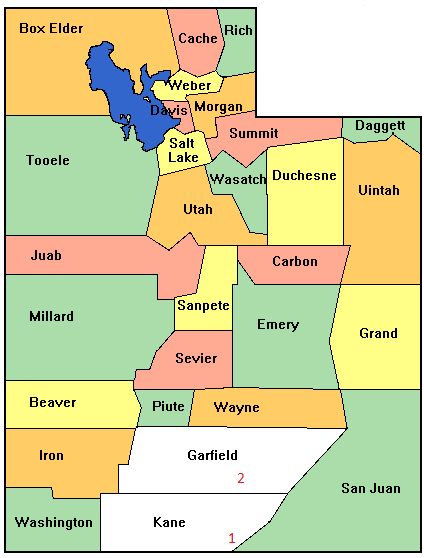 Seven herd areas in southwestern Utah (Beaver and Iron Counties). *The Escalante Desert Loop - 6 HMAs in one day! Two herd areas in southeastern Utah (Garfield and Kane Counties).